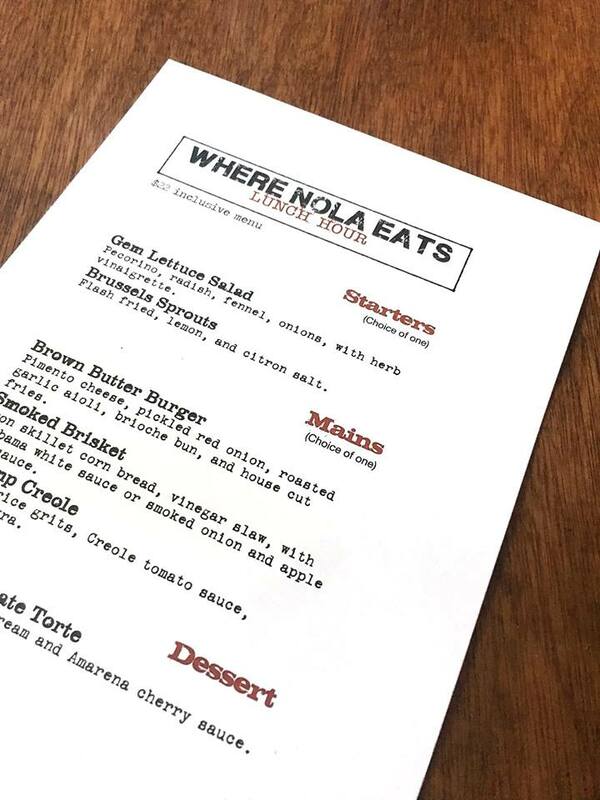 Located at the corner of N Carrollton and Bienville in Mid City New Orleans, we are the city’s destination for Contemporary Southern American cuisine in a comfortable cozy setting. Our goal is to challenge your palate with new and exciting flavors while anchoring our ingredients in the comforting and familiar. We are the place for a quick lunch, fine dinner, business/special event or just a beer and small plates for the game. Went out to lunch yesterday with the “Todd Price Taste Club,” for the group’s first lunch outing. Had a great time at Brown Butter on Carrollton and Bieville in Mid-City. 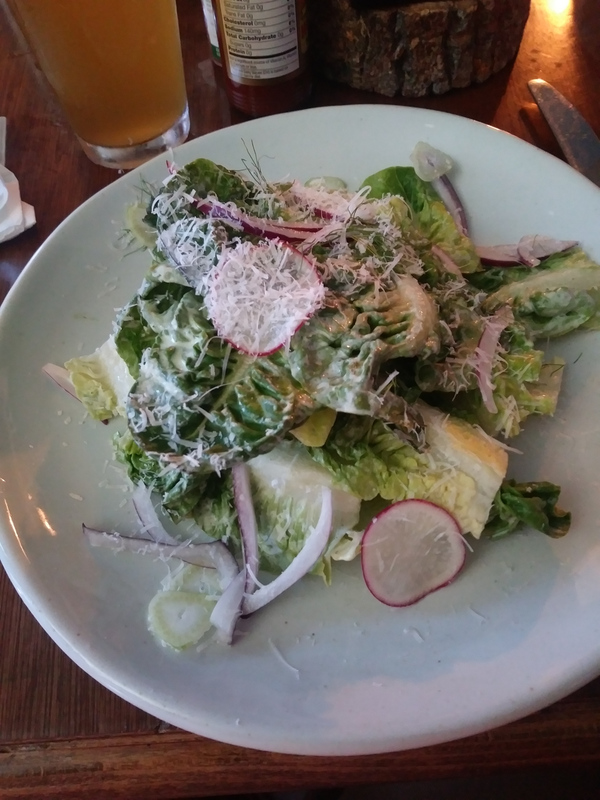 The two starters were a Gem Lettuce salad with radish, fennel, onion, and Pecorino, with an herb vinaigrette. 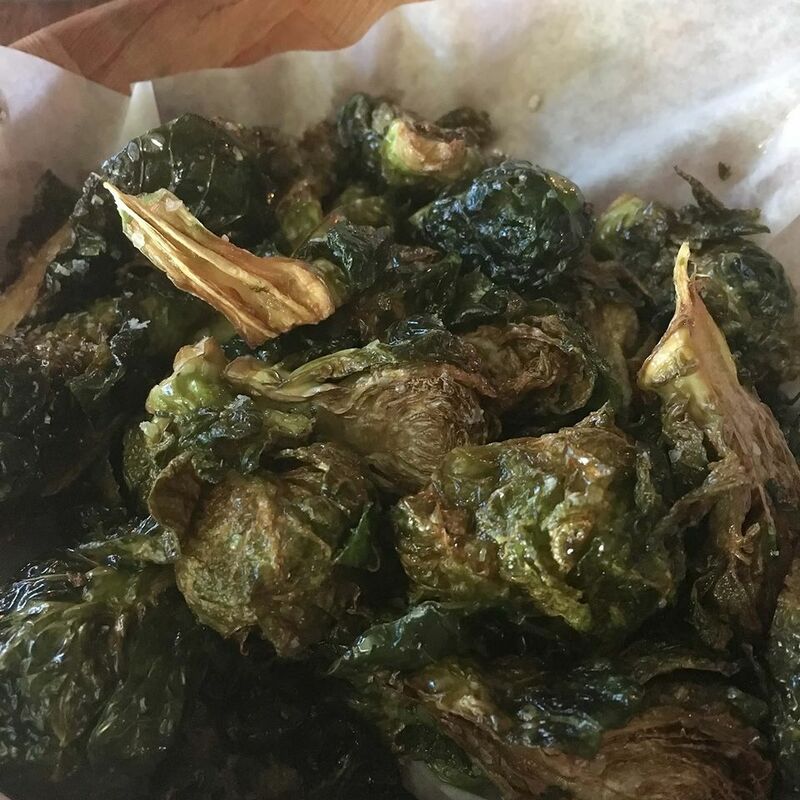 Our second starter was Flash-fried Brussel Sprouts. While just about everyone else got the sprouts, I got the salad and snitched some of the Brussels Sprouts from others. Both were good, but the Brussels Sprouts were the winner. Smoked Brisket at Brown Butter. 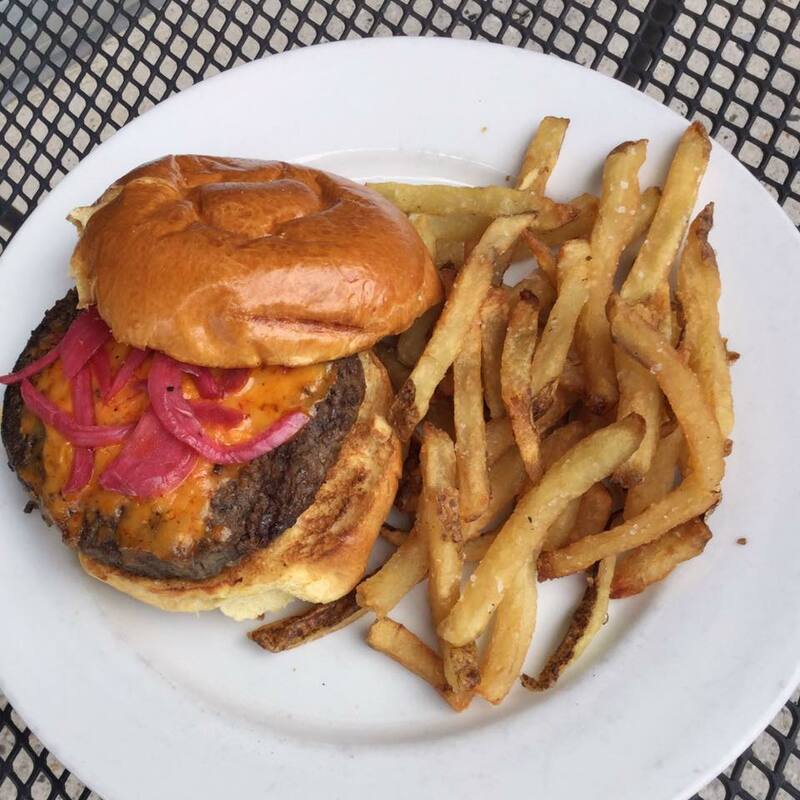 The Brown Butter Burger, with pimento cheese, pickled red onion, roasted garlic aioli, on a brioche bun with house cut fries. 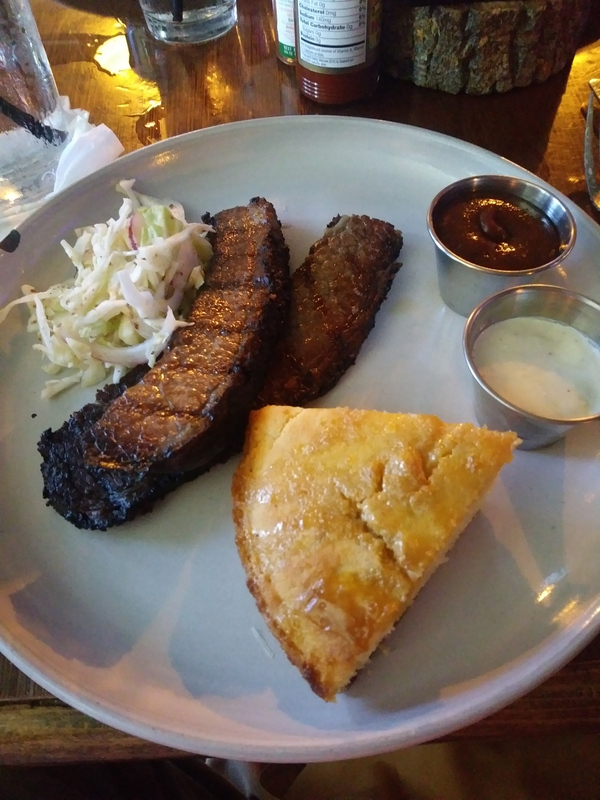 Our second option was Smoked Brisket with skillet corn bread, vinegar slaw, along with a white sauce and a smoked onion and apple BBQ sauce. I had the brisket. It was great. Folks who got the burger also enjoyed their choice! 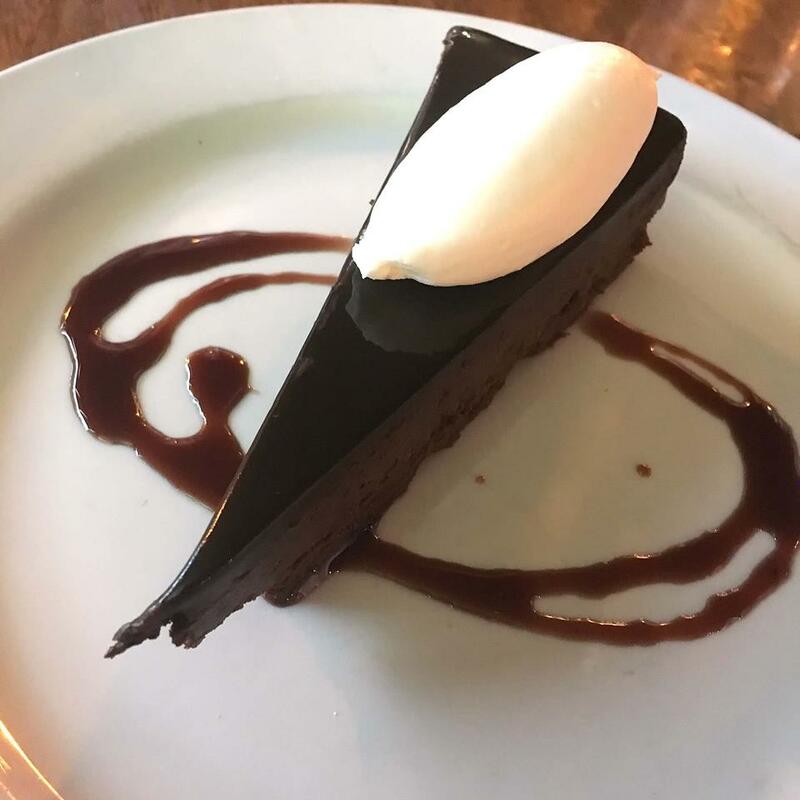 In addition to the beef and burgers, we enjoyed a chocolate torte. The dessert had whipped cream and an Amarena Cherry sauce. Tasty! Be sure to check out Ali’s blog at NowNewOrleans dot com!